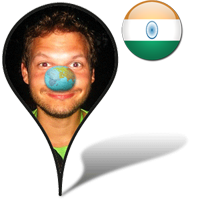 This challenge terrified me but I decided not to back down and embarked on an unforgettable journey across Incredible India on roads covered with holy cows, crazy monkey, craters and... people. An adventure with a lot of technical problems that helped me discover the true kindness of Indian people. They touched my heart.